Hakko announced a change to the design of the FX-951 face plate, receptacle, and PCB to improve the connection of the FM-2027 Connector. This update strengthens the connection, but does not impact the performance or specifications of the unit. The new assembly is backwards-compatible with older Hakko FX-951 models with serial numbers before 05951212011683. For more info please see Hakko Bulletin # PB331. The Y-axis rails of the FR-1012B IR Preheater board holder have been improved by converting them to the rail type being used by the Hakko FR-870 IR Preheater. This change creates smoother movement of the rails for adjusting PCB fit on your board holder. Product specifications and performance remain the same for this unit. For more info please see Hakko Bulletin # PB332. Hakko announced that the HJ2000 ESD-Safe Manual Desoldering Tool was discontinued and replaced by their new PD-03-D ESD-Safe Manual Desoldering Tool. The PD-03-D is a lightweight tool for removing residual solder from desoldering operations. For more info please see Hakko Bulletins # PB333 and # PB334. Be sure to check back with The Q Source Resource often for more product & industry news, how-to articles, and other features. You can also follow our Twitter account and watch original videos on our YouTube Channel. We couldn't be more excited! A few days ago we got our brand new Hakko FX-888D (FX888D-23BY) demo unit! This is the digital version of Hakko's famously-popular (and now discontinued) FX-888. It has everything its predecessor had, plus a little more. (Did we mention it's digital?!?!) Be sure to read our earlier article and check all the specs on QSource.com. It's that time of year again, and we here at Q Source wanted to send our warmest wishes for a Happy Holiday to you and your family. We thank you for being our loyal customers throughout the year and we look forward to serving you again in the New Year. Happy 2013! Please Note: The Q Source offices will be closed Monday, December 24th, to Wednesday, December 26th, 2012 (we will re-open on Thursday, December 27th). We will also be closed on Monday, December 31st, 2012 and Tuesday, January 1st, 2013. QSource.com will be, as always, available 24 hours a day for product information or to place an order. Orders placed during office closures will be processed as soon as possible on the next business day. For further information please call (800-966-6020) or email us and one of our helpful associates will gladly assist you. The holidays are upon us and our gift to you is a great money-saving opportunity. QSource.com already features some of the best prices you'll find, but for December, we're offering you an EXTRA 10% OFF everything site-wide. Visit our Facebook Coupons page for more details. Get your coupon code and shop QSource.com today to save on thousands of useful items. We have more than 80 Lindstrom Precision Tools products, including their high-quality RX Series Cutters & Pliers. You'll find close to 700 Metro items, featuring the Super Erecta® line of wire shelving solutions. And we're sure you'll find what you’re looking for from our selection of 1,600+ Brady products, packed with dozens of top-of-the-line portable printers. Get your extra savings and stock up on items you'll use throughout the New Year. Click over to our Facebook Coupons page and "Like" us to access the discount code for this and future monthly offers. The December offer ends on Monday, December 31st, 2012 and cannot be combined with other offers. 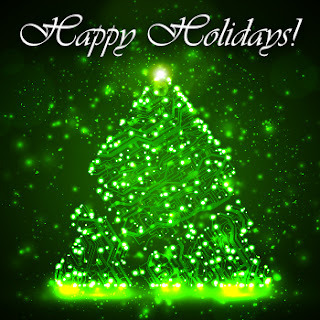 Happy Holidays from Q Source. Our guest blogger from Brady Worldwide writes about the growing necessity for software applications like LINK360 to manage visual information in the workplace and ensure that users can access important, up-to-date information at all times. A quick look at advertising media gives an applicable example of the transformation that occurs when dynamic content is introduced. Traditional information vehicles and venues like billboard advertisements, movie theater posters, and other forms of indoor advertising are currently undergoing this software transformation with the introduction of electronic displays. For example, old school movie posters have morphed into graphic movie trailer displays. What once were paper-based roadside billboards are now electronic displays that can shift every few seconds between product advertising and official AMBER alerts. Even the murals and posters once lining airports are now being replaced with interactive UI. While static posters, billboards, and other signage may never fully be replaced, it's important to understand the benefit of dynamic media. Simply put: dynamic media can convey much more information to the viewer, in an impactful way, and in a timely fashion. This same change in advertising signage can also be applied to visual workplace information in the form of what we consider an information management system. LINK360 can communicate changes in equipment such as these lockout devices. A great example of dynamic communication in action within the regulatory world is a lockout/tagout program. When physical changes are made to a piece of equipment–in this case a lockout device is added or taken away–a host of other necessary changes are triggered to communicate with those who interact with the machinery. 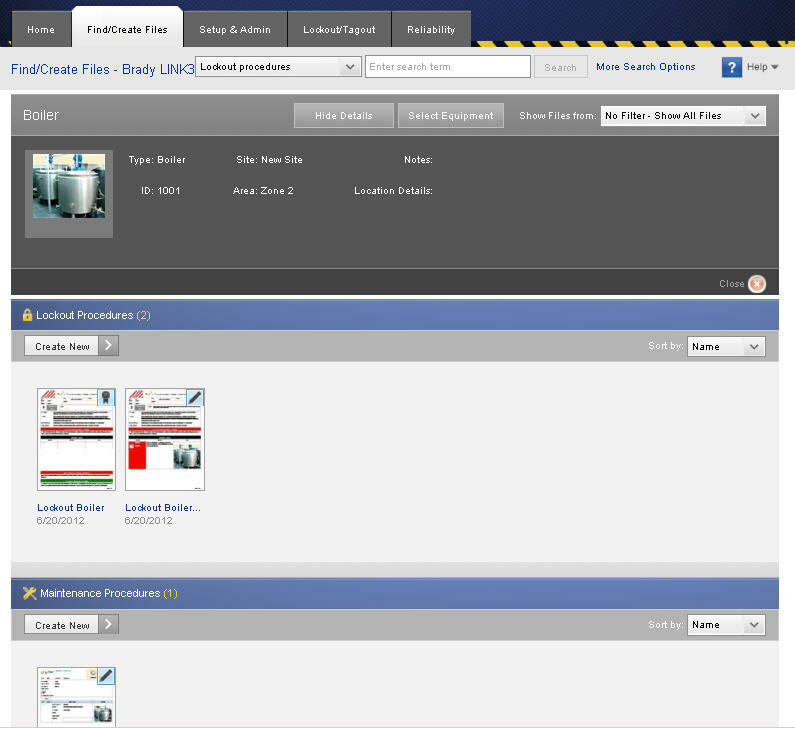 An information management system, like Brady's LINK360® software, alerts the appropriate individuals when warning labels, lockout procedures, and inspection procedures need to be created or updated. The purpose of this is to ensure that ongoing dynamic communication is occurring with a company's workers to increase safety and efficiency, and remain compliant. How the influx of software will impact less mutable signage needs, like exit signs and warning labels, is unknown, but we know it will come eventually. Electronic displays, including cutting edge tablets and those mentioned above, are becoming more varied and popular among the mass audience. Therefore, it's smart to keep an eye toward dynamic communication and information management systems. We are grateful to our guest blogger, Marlon Davis of Brady North America, for his insights into the changing needs of visual documentation. For more information about Brady's LINK360 software please contact Q Source at 800-966-6020 or via email. Ah, the classic holiday image of bulging stockings filled with goodies hanging over the fireplace. Well, we're here to tell you about a great new way to find some really unique stocking stuffers. Forget about candy or toys, how about an ESD wrist strap or a pair of round-nose pliers? Come check out QSource.com's new Stocking Stuffers Department filled with more than 100 items for under $50. Our Stocking Stuffers selection includes quality products in a variety of categories including: Storage Bins, Tools, Static Control/Testing/ESD/Personal Grounding, Soldering, Lighting/Magnification/Inspection, and more. Who wouldn't be happy to pull this R&R Lotion ESD-Safe Flux Dispenser out of their stocking? And we think these Erem Diagonal Semi-Flush Cutters fit just nicely in that red, fur-lined number hanging from the mantel. With more than 100 inexpensive "gifts" ready to be stuffed, we're sure you'll find something that will come in handy throughout the New Year. 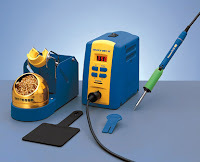 All the best things eventually go digital: TVs, cell phones, and now Hakko's popular FX-888 Soldering Station*. 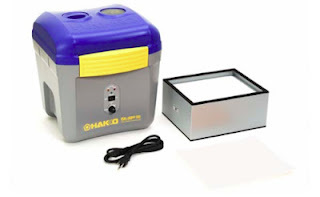 Hakko recently announced that the Hakko FX-888D Digital Soldering Station (FX888D-23BY) will be available January 14, 2013. Coming as an update to the soon-to-be discontinued FX-888, the Hakko FX-888D adds digital functionality and several new features. Included in this update are user selectable preset temperatures & digital calibration, password protection, and a low-temperature alarm. The Hakko FX-888D was designed to be easier to use (the station features just two buttons, "UP" and "ENTER") and give the operator more power to manage temperatures with its digital display and various options. These options include the Adjustment Mode (which allows the user to program the FX-888D with the measured tip temperature), the Preset Mode (which allows the user to create up to five preset temperature settings and select them with the press of the button), and the Password Function (which allows for the locking temperature changes or settings with a password). The FX-888D is also adaptable to changing needs of the user's worksite with its selection of optional accessories such as the FX-8804 SMD Hot Tweezers for SMD rework or the FX-8802 N2 System Soldering Iron for applications using mildly activated flux and multilayer boards. When the new Hakko FX-888D Digital Soldering Station ships it will include the FX-888D Station, FX-8801 Soldering Iron, T18-D16 Soldering Iron Tip, FH800-01BY Iron Holder, the A1559 Cleaning Sponge, and the A1561 Cleaning Wire. Dozens of T18 tips and accessories are already available. The new Hakko FX-888D Digital Soldering Station is available from QSource.com and will begin shipping on January 14, 2013. 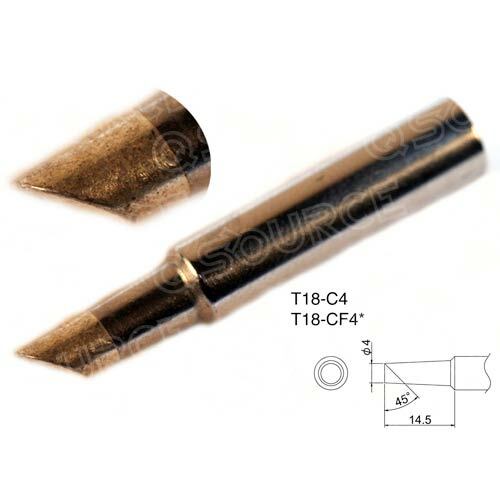 Our selection of Hakko T18 Tips and FX-888 Accessories are available for immediate purchase. For further information about the Hakko FX-888D Digital Soldering Station, or to place an order for this or any of our Hakko soldering products, please contact us via email or phone (800-966-6020). Our helpful, expert staff will help you find the product solution that best fits your needs. * Please note: The original FX-888 Soldering Station is available from QSource.com until inventory is depleted. Q Source is saying "Season's Greetings" with site-wide savings of 10% OFF everything at QSource.com. Our December Social Networking Sale offer is available to our customers who have access to the special offer code via Facebook. Our Web site offers more than 12,000 quality products in a number of categories including our Lighting, Magnification & Inspection; Soldering, Desoldering & Rework; and Workbenches, Chairs & Industrial Furniture Departments. Use this valuable savings opportunity to shop for microscopes by Unitron, Scienscope & O.C. White; rework stations by Hakko, JBC, Metcal, OKi & Weller; or workbenches by IAC & Production Basics. So, start the holiday season off right by saving on the tools you need to get the job done right. Head on over to our Facebook Coupons page and "Like" us. You’ll then get access to the discount code for 10% OFF everything at QSource.com and be registered to access all future discount codes. Our December offer ends on 12/31/12 and cannot be combined with other offers. 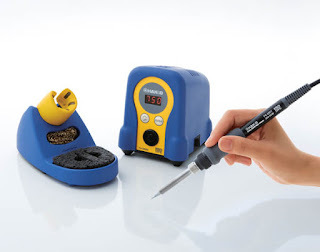 Are you in the market for a powerful, high-quality JBC Tools Soldering Station? Well, if you purchase one from QSource.com by end-of-day tomorrow, we’re offering you an EXTRA 12% OFF our regular low prices. Use this great savings opportunity to get a great deal on JBC’s best stations including the JBC Tools AL-1A AL Premium Series ESD-Safe Automatic-Feed Digital Soldering Station, which helps automates the soldering process; the JBC Tools HD-1B HD Heavy-Duty Advanced Series Soldering Station, which is the top solution for high thermal demand and prolonged heavy-duty soldering; and the JBC Tools CF-1B CF Advanced Series Compact Solder Feed Station, which is designed for repetitive soldering or when you need a free hand. So, to get these excellent savings, you need to act quickly. Visit our Facebook Coupons page today and “Like” us. Once you’ve done that you’ll gain access to the special discount code for November and for all future monthly codes. Remember, your chance to save an EXTRA 12% OFF ends November 30, 2012. Think Black Friday was your only chance to shop for less? Well, we're here to tell that QSource.com's CyberMonday event can help you save 15% OFF items from our entire site. * All you have to do is enter the code "cyber2012" at checkout and you'll get our quality, low-priced products at even greater savings. So, head on over to QSource.com to shop and save on thousands of items in such categories as Cleanroom, Labeling & Identification; Soldering, Desoldering & Rework, and more. But, remember, when Monday ends so does this great opportunity to save. Happy Thanksgiving from all of us here at Q Source. Our family wishes you and yours a happy, safe day of food, fun, and football. In honor of this day of thanks, we also want to recognize our loyal customers for your continued patronage. In observance of the Thanksgiving holiday, Q Source’s offices will be closed on Thursday and Friday (November 22nd & 23rd). QSource.com is available 24 hours a day for you to place an order or submit a quote and you can always send us an email if you have any questions. Orders placed on the 22nd or 23rd will be processed as soon as possible. If you're shopping for a high-quality, versatile, and dependable soldering station you're going to love our November Social Networking Sale. This month save an extra 12% OFF JBC Tools Soldering Stations at QSource.com. JBC offers excellent soldering tools in both their Compact (featuring a smaller footprint in a self-contained unit) and Premium (perfect for industrial use with models ranging from micro to heavy duty) lines. Take advantage of our special offer and save on units like the CD-1BB - CD Advanced Series Compact Soldering Station, the JBC NAST-1A - NANO Premium Series ESD-Safe Digital Soldering Station, or the DDST-1B - DDST Advanced Series Soldering & Desoldering Station. All you need to do to get these great savings is "Like" us on our Facebook Coupons page (if you haven't already). Once you've done that, you'll be able to easily access the discount code for all of our subsequent monthly offers. As the powerful, Hurricane Sandy approaches the Long Island, NY area, Q Source is taking actions to be able to keep our staff and equipment safe and also continue to serve our customers as efficiently as possible. 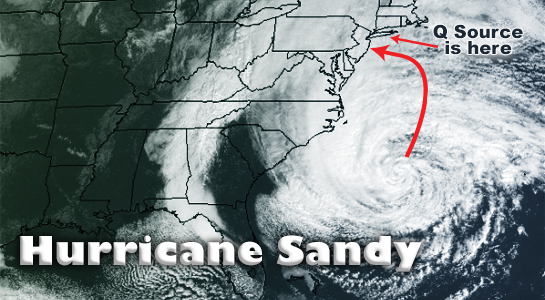 We urge those of you in Sandy's path to also take the necessary precautions to be safe and prepared. Our Long Island office and QSource.com are currently open and will be until end of business today (pending that weather conditions stay the same). Both FedEx and UPS have informed us that, due to the storm, we will be unable to ship today (Monday, October 29, 2012) and most likely tomorrow as the worst of the storm is expected to hit tonight. We anticipate being able to resume shipping on Wednesday, October 31. In anticipation of power outages and/or water damage, we will be shutting down our computers and phones at the end of the day today. QSource.com will also be unavailable at this time. We expect to be functioning completely again starting regular business hours on Wednesday, October 31st, possibly sooner. We apologize in advance for any inconvenience this may cause and we thank you for being a Q Source customer. The Long Island SMTA Expo and Technical Forum one-day show will be held Wednesday, October 10th, 2012, from Noon - 5 p.m. at the Islandia Marriott Long Island in Islandia, NY. Q Source is a regular exhibitor at the expo and will be participating once again this year. This regional SMTA show offers free technical sessions, free lunch, and the chance to network with leading suppliers to our industry. The event is a perfect opportunity for Process Engineers, SMT Machine Operators/Technicians, Quality Engineers, Test & Component Engineers, and Project Managers to pick up new knowledge and skills to apply at their workplace. The Surface Mount Technology Association (SMTA) is an international network of professionals working toward developing skills, sharing practical experiences, and creating solutions in the electronic assembly industry. Follow the link for more information about the Long Island SMTA Expo and Technical Forum show. 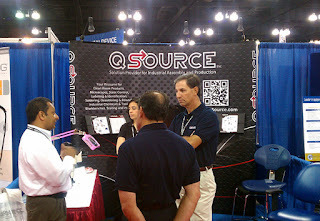 To learn more about Q Source, please visit QSource.com. 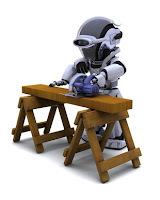 The QSource.com Web site will be down for maintenance beginning at approximately 10:00 AM (EDT), on Saturday, October 6th (10/06/2012). We will be upgrading our site and adding new features to make your shopping experience even more enjoyable. QSource.com will be back at around 5:00 PM (EDT) on Sunday, October 7th (10/07/2012) (or earlier!). The firefighter donned his gear and started running through New York City's Battery Tunnel. It was hot, noisy, and crowded…but he kept running. His destination? The towers at the World Trade Center. That's the journey that FDNY firefighter, Stephen Siller, made that fateful day of September 11th, 2001. 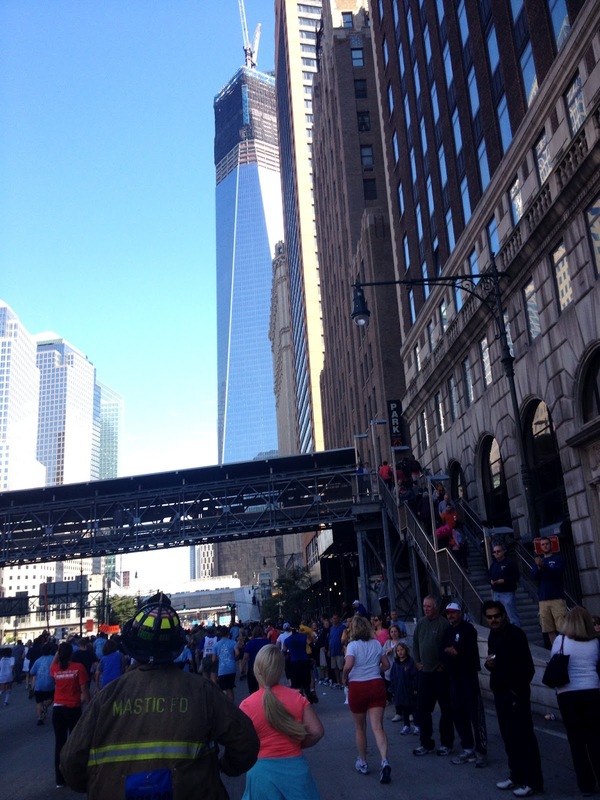 Q Source's Web Assistant, John Garland, retraced those steps this past Sunday, September 30th, at the 2012 Tunnel to Towers 5K Run/Walk. Garland, 23, has been with Q Source for three years. 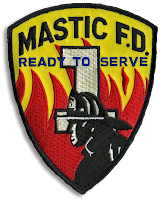 When he's not working on our Web site, he's a volunteer firefighter with the Mastic Fire Department here on Long Island. Along with about 25 other members of his fire station, Garland ran in the annual memorial event to honor Siller and the 343 firefighters who lost their lives that day eleven years ago. 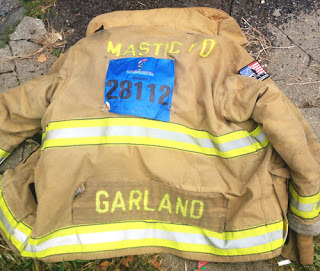 A dedicated firefighter for almost five years, Sunday's Run was Garland's first. He had looked forward to participating in the event and now says that, "The experience was completely amazing…the atmosphere and environment were packed full of excitement, memories, pride, brotherhood…everything was there to make it something I will definitely never forget." "Running in gear and realizing that he did the same that day, except full of traffic and knowing he might not be coming home, was a crazy feeling." The Tunnel to Towers Run was created to recognize the selfless heroism displayed by Stephen Siller on 9/11. After hearing about the first plane hitting the tower, Siller (who had just finished the late shift) turned around to go back and meet his company. When he reached the Battery Tunnel it was already closed and jammed with traffic. He got out of his truck, grabbed his equipment (weighing about 60 pounds) and ran to the World Trade Center. Garland commented on following that path on Sunday, "Running in gear and realizing that he did the same that day, except full of traffic and knowing he might not be coming home, was a crazy feeling." When Siller exited the tunnel that day he, undoubtedly, was hit with the impact and emotion of what he saw. Upon Garland's exit he, too, was overcome with emotion, "Coming out of the tunnel and seeing the FDNY lined up with photos of all of the 343 firefighters who gave their lives was touching, especially with the Freedom Tower showing in the background. It was absolutely beautiful and words can hardly describe it." The Tunnel to Towers Run is not only a memorial tribute, it is also part of a wonderful charity to help build homes for severely wounded American soldiers. The Stephen Siller Tunnel to Towers Foundation and the Gary Sinise Foundation worked together to create a program called, "Building for America's Bravest." The Run sees a large participation by members of the military and Garland noted the even greater sense of a common purpose, "Running along with all branches of the military and firefighters from all over, even overseas, was amazing. Guys who don't know you, yet see you in bunker gear [firefighting equipment] still come up like they knew you your whole life. It was shocking." 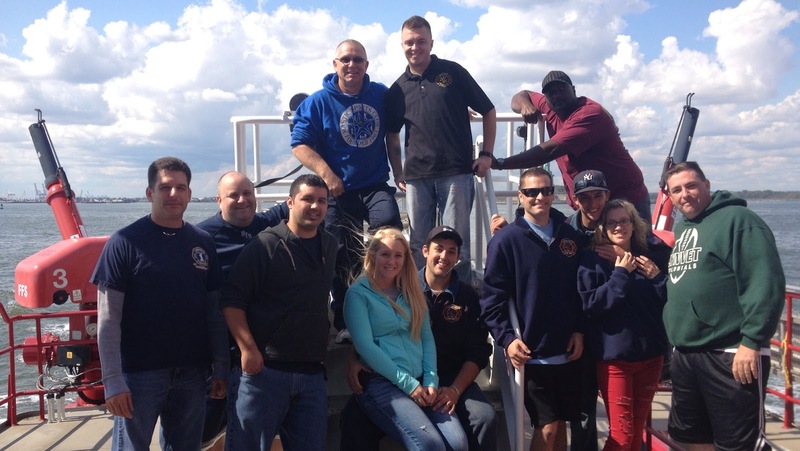 Firefighters from the Mastic Fire Department and other departments on the deck of the Three Forty Three after the TTTR. John Garland is third from the left. helping someone is what really gets to me." Garland's experiences at the Tower to Tunnels Run mirror his own outlook on being a firefighter, "Being a firefighter means a lot to me, just the joy and satisfaction of helping someone is what really gets to me." He plans on doing the Run again for many years to come and confirms what a life-changing experience it was, "I could honestly say that doing the Tunnel to Towers Run has been, and will be, a definite high point and unforgettable moment in my life." For more information about the Tunnel to Towers 5K Run/Walk, the Gary Sinise Foundation, or the Building for America's Bravest program please follow their respective links. To see even more of John's photos please check out the Tunnel to Towers Run - 2012-09 set on Flickr. You can also see some short videos of the day on John's YouTube channel. Have you registered for INTERPHEX Puerto Rico 2012 yet? The conference begins tomorrow and we're all ready to go and very excited to meet you in person at Booth 723. We also wanted to remind you that there is still time for you to register to be our guest at the conference. Promoted as the Caribbean's premier event for life science manufacturing, INTERPHEX Puerto Rico (held at the Puerto Rico Convention Center in San Juan on October 4th and 5th) is the perfect opportunity for life science/facility professionals, suppliers, and a variety of experts to get together for networking, exposure to new and innovative products, and a chance to learn from the best in the field. The conference aims to promote efficiency, productivity, and a competitive edge for those in the Pharmaceutical, Biotechnology, Medical Device, and Diagnostic industries. This is a can't-miss conference and we want you to enjoy it as Q Source's guest. After you use the following link to register for INTERPHEX Puerto Rico 2012, you'll get a FREE exhibit hall admission and 15% OFF a full conference pass. Then you'll be all set to check out the more than 200 vendors in the exhibit hall (we're partial to Booth 723) and experience the conference's new program with dedicated tracks for Pharma/Bio, Medical Device, Buildings & Facilities, and Technical Writing. For more info about INTERPHEX Puerto Rico 2012 please visit our Facebook Events page or you can read INTERPHEX's conference blog. We look forward to seeing you in San Juan! Label printing can be a nightmare. Dealing with wasted ribbons and labels, wasted time setting up the printer and software, and an often messy cleanup leads to much frustration and inefficiency. Brady Worldwide's latest innovative printing solution, the BBP®33 Label Printer, was created to end those nightmares. 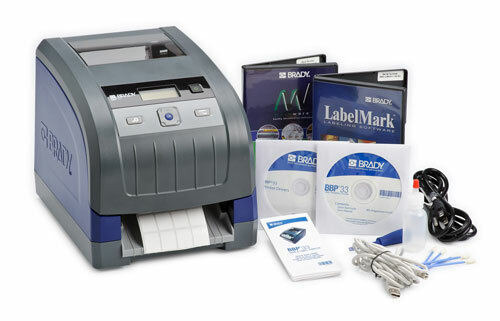 Brady believes that label printing should be fast and simple and that your label printer should be powerful and versatile. From what we've seen of the BBP33, it looks like Brady has developed a printing tool that achieves those goals and sets new standards. The Brady BBP33 Label Printer offers hassle-free thermal transfer printing for a variety of applications including: Wire, OEM, Product & Electronics, Safety & Facility, and Lean/5S. 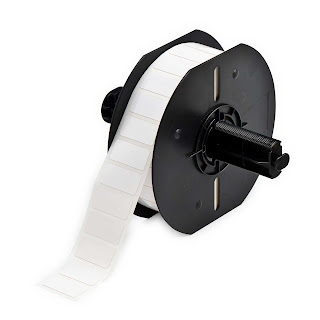 This PC-connect-only printer is great for medium use throughput and operation* (1,000 labels/day, 8 hours/day, 5 days a week for Wire ID and Small OEM labels. 600 2” x 4” labels per day or 300 larger labels per day for Safety labels) and offers around 500 parts and about 39 materials. * Throughput will vary depending on specific label size, text printed, and other factors. Twenty seconds or less. That's about how long it will take you to change a label cartridge and ribbon in the BBP33. Brady's smart chip technology, utilized in both the label cartridge and the ribbon, means there's no calibration, no sensor adjustments, and no print speed trial and errors. Combine the smart chip convenience with "drop-in" labels and ribbons that always install facing the correct way and you'll wonder where the BBP33 has been all your life. Brady has eliminated the time, waste, and mess usually associated with label printing by creating a system that prints on the first label every time, doesn't require ribbon spooling, and eliminates burn temperature trial and error. Brady has a reputation for creating label materials that are durable, versatile, and high performing. 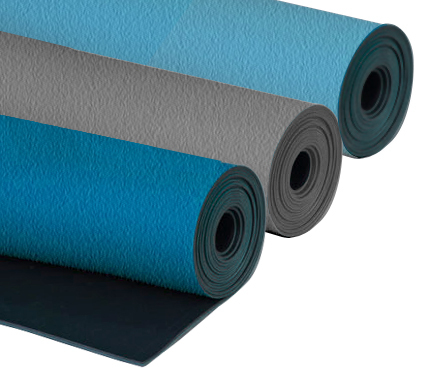 Those standards continue here with the huge selection of materials available for the BBP33. Whether you need highly visible labels for use in your Lean/5S initiative or a label with high tolerances for laboratory work, the BBP33's material selection is sure to have the label that will adhere to difficult surfaces or be integral to your kaizen efforts. ** This is just a mere sampling of the dozens of material options available for the BBP33—and that doesn't even include customized labels! Of course, no matter how good your printer is and how many types of labels you have, it doesn't mean a thing if people can't read what you print. 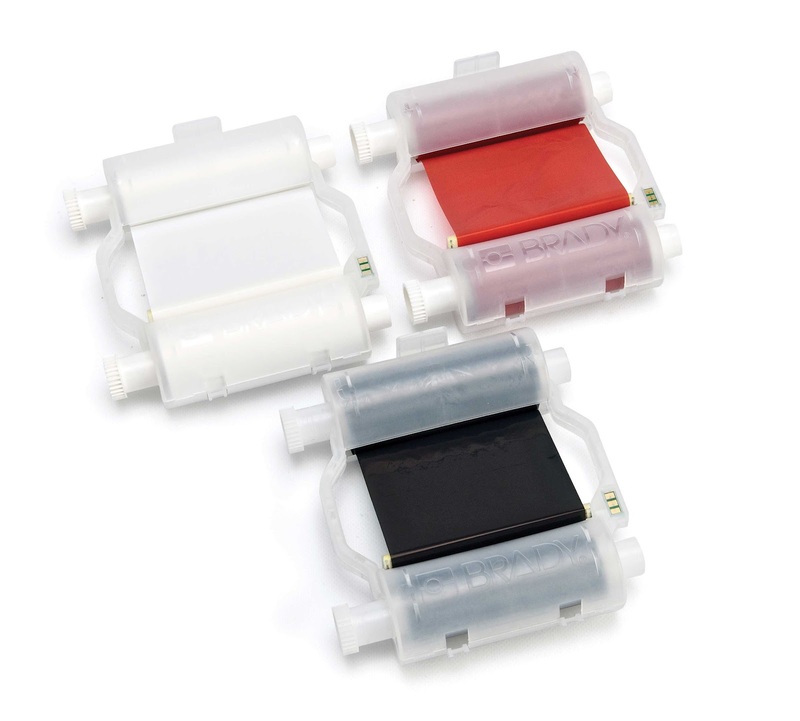 Brady's BBP33 printer ribbons are as high quality and durable as the rest of the system. Shipped in a self-contained cartridge that drops correctly into the printer with a click, and featuring smear-proof ink that can last for years in outdoor or industrial environments, Brady's B30 ribbons help provide quick, worry-free printouts time after time. For high-quality, medium use via a PC the Brady BBP33 Label Printer is an excellent solution to your printing needs. If you'd like everything the BBP33 offers in a stand-alone printer check out the BBP33's sister printer, the BBP31. Both printers will have you forgetting the days of wasted time, money, and messy cleanups in no time. *** BBP33 Label Printer ships with printer, power cord, USB cable, drivers CD, stylus, cleaning kit, cutter cleaning tool, and quick start guide. Q Source has been a proud Brady distributor since 1984 and currently features more than 1,600 Brady items on our Web site. For Brady BBP33 printers, ribbons, and labels Q Source is your resource. If you don't see the BBP33 part you want on QSource.com, or if you need a custom label, please contact us via phone (800-966-6020) or email and one of our knowledgeable Brady experts will gladly assist you. We're shining a light on savings with our October Social Networking Sale. Starting today, through October 31, 2012, you can save an extra 10% OFF all Daylight Company products at QSource.com just by liking us on Facebook. Daylight Company is a leading manufacturer of specialty lighting for hobbies and very specialized detailed work. QSource.com features dozens of Daylight items in categories such as Task Lights & Illuminated Magnifiers, Light Bulbs & Tubes, and Lighting Accessories. Our product selection includes the U22091 ESD-Safe Ultra-Slim Magnifying Lamp, which utilizes the latest innovations in lighting design; the U12000 28W Energy-Saving Circular Fluorescent Tube, which reduces eye-strain and also helps reduce greenhouse gases by consuming 75% less energy; and the U62002 Ultra-Slim Swing Arm XR Lens, which offers 4.75X magnification for the Ultra-Slim Magnifying Lamp XR. It's clear to see the savings opportunities with this exciting offer. Now all you have to do is visit our Facebook Coupons page, "like" us (if you haven't already), and you'll then get the October discount code needed to save the extra 10% OFF on Daylight items at QSource.com. There are just a few days left…so it's time to focus on savings! Our exciting, money-saving opportunity to get an extra 10% OFF all Scienscope items at QSource.com ends September 30, 2012. Scienscope International is a complete inspection solution provider and if you look closely at the Scienscope Department on QSource.com we're sure you'll find the right visual inspection tool for your needs. The September Social Networking Sale allows you to take an additional savings on items from our Microscopes & Visual Inspection Systems, Task Lights & Illuminated Magnifiers, and Microscope Accessories categories. Browsing through those categories you'll discover high-quality products including the MZ7-PK2-AN-U MZ7 Series Micro Zoom Video Inspection System, the ML4-5D-45-ESD ESD-Safe Illuminated Magnifier w/5-Diopter Lens, and the CC-97-LN1 Macro Zoom Lens for MAC Series Macro Video Zoom Inspection System. With time to save running out so quickly, we recommend you zoom on over to the Coupons tab of our Facebook page. Once there you can "like" us and get access to the special code for our September Social Networking Sale. You'll also be all set to receive the code for our future monthly sales. Resolutionary. That's how Unitron, a leading manufacturer of microscopes and microscopy products, refers to their newest innovation: The TCS Pro 500. 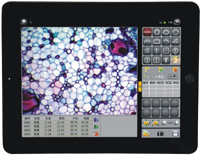 The TCS Pro 500 (formerly known as the iMAGE PAD 500) was created to answer the needs of a number of applications (including Production/Assembly, Defect Analysis/Quality Control, Metallurgy, Pathology, Cytology, and Microbiology) by combining a powerful tablet PC with a 5-megapixel HD camera and feature-packed image analysis software. Users can easily view live 720P video images capture them, and share them with co-workers via the 10", Android 2.3 OS-powered tablet. Regardless of what industry tasks you are working with, the TCS Pro 500's 9.7" HD LED backlit touch screen, 8GB of memory, and 10-hour battery life are must-have features. Add in the stability of the Android 2.3 OS, the 1.2GHz ARM Cortex® A8 Core Processor, and a variety of built-in interfaces and you've got a solid tool that provides speed, efficiency, and the invaluable ability to share data easily with colleagues. One of the two unique components (the imaging software being the other) that make the TCS Pro 500 such a useful device is the built-in, 5-megapixel HD camera. Partnering this tablet and with this camera allows the TCS Pro to go beyond other HD cameras available on the market, which usually require a separate monitor and rarely provide an option to capture images to a flash drive, SD card, or via Wi-Fi to a network. The ability for the user to view real-time, live HD video and then capture, record, and share that content is accomplished through the impressive VMS3.6 Image Analysis Software. The captured images can then be annotated, manipulated, and analyzed before saving or being easily exported. Boasting ISO 9001 and ISO 14001 Certification standards for design and production, the Unitron TCS Pro 500 is built for daily use in the industrial assembly/production and clinical/biological fields. Each of the tablet's specification has been chosen to help you get your job done correctly and efficiently. For example, the Android 2.3 operating system was chosen specifically as the most stable platform for the VMS3.6 imaging software and the multiple storage and Wi-Fi options were implemented to make it easier to share data with co-workers. Q Source is excited to now offer the TCS Pro 500 on our Web site. We're accepting pre-orders for the unit, which will ship approximately October 1, 2012. If you have further questions about this tablet or other Unitron products on QSource.com, please contact us via phone (800-966-6020) or email and one of our helpful experts will assist you. In our recent INTERPHEX Puerto Rico 2012 preview article, we announced that Q Source would be exhibiting at the conference and reminded you to stop by our Booth 723. This time around, we're very excited to tell you about a special opportunity to be our guest at INTERPHEX. We want to make it as easy as possible for you to come visit our booth and get the most out of the conference, so we're offering you a FREE exhibit hall admission and 15% OFF a full conference pass. All you have to do is follow the link to our INTERPHEX Invite page and click on REGISTER. Once you've registered, you'll be all set to enjoy the new conference program (featuring dedicated tracks for Pharma/Bio, Medical Device, Buildings & Facilities, and Technical Writing) and to fully explore the exhibit hall (featuring more than 200 vendors demonstrating the latest technology, products, and services). Of course, we highly recommend making Q Source's Booth 723 your first stop (and remind you not to leave without your goodie bag). INTERPHEX Puerto Rico (at the Puerto Rico Convention Center in San Juan on October 4th and 5th) brings together the best life science/facility professionals, suppliers, and a variety of experts to create and explore innovative solutions. Don't miss this excellent opportunity to attend the Caribbean's premier event for life-science manufacturing. We truly hope you'll accept our invite and we look forward to seeing you in October. For more information about Q Source and INTERPHEX please visit our Facebook Events page. Eleven years ago today, the United States experienced unthinkable tragedies at the World Trade Center in New York, the Pentagon in Washington, and in a field in Shanksville, Pennsylvania. 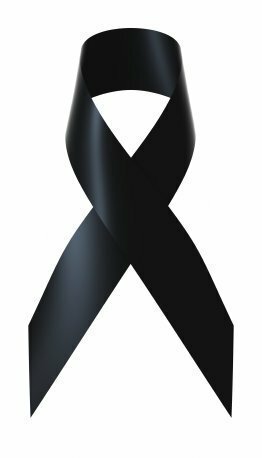 Q Source would like to take a moment to remember those lives lost and to extend our sympathies to their families and loved ones. A remembrance of September 11th is not complete without acknowledging the actions taken to keep us safe and protect us from further attacks on our country. We thank the police, military, and first responders for their daily acts of bravery. If you give our September Social Networking Sale a detailed, up-close visual inspection you'll see an excellent opportunity for savings. Get an extra 10% OFF all Scienscope International items through September 30, 2012 just by "liking" us on Facebook. Scienscope's inspection solutions are targeted at a number of applications with items ranging from general-purpose optical and video products all the way to complete visual inspection systems. This month's special offer helps you save on illuminated magnifiers like the Scienscope ML2-8D-45 Illuminated Magnifier w/8-Diopter Lens, high-quality microscopes including the Scienscope CO-ELZ-100 ELZ Series Mini Stereo Zoom Binocular Microscope, complete visual inspection systems such as the Scienscope MAC-PK3-AN-X MAC Series Macro Zoom Video Inspection on the CF Articulating Arm System with a Fiber-Optic Annular Ring Light & 22" LCD Monitor, and more. Now that you've discovered this great chance to save, all you have to do is visit our Facebook Coupons page and, if you haven't already, "like" us. You'll then get access to the September special offer code (and all subsequent codes) and then you can start shopping and saving an extra 10% OFF all Scienscope products at QSource.com. Remember 723. Booth 723. 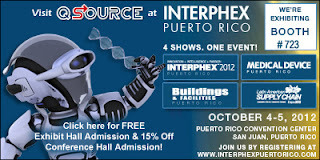 That's where Q Source will be at the INTERPHEX Puerto Rico 2012 conference October 4th and 5th . Yes, we'll once again be exhibiting at the Caribbean's premier event for life science manufacturing. For those involved in the Pharmaceutical, Biotechnology, Medical Device, or Diagnostic industries, the INTERPHEX Puerto Rico conference is THE place in Latin America to obtain the information, education, and contacts needed to improve a company's bottom line, efficiency & productivity, and gain a valuable edge over the competition. 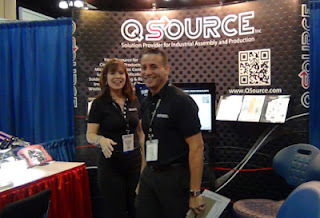 Q Source has been a regular exhibitor and participant in INTERPHEX Puerto Rico and appreciates the value it brings to the local economy and the opportunity it provides for educating about new application-specific products in the manufacturing & assembly industry. Latin American SUPPLY CHAIN - Held alongside INTERPHEX Puerto Rico and provides a comprehensive showcase of supply chain, logistics and distribution technologies and solutions. Produced by the Multi Sectorial Alliance. These shows will provide specific information for each track and tie in with the 200 exhibitors on the show floor to help attendees learn how to improve efficiency and productivity. The exhibitors will showcase the newest equipment, products, and services and provide an opportunity for networking among industry colleagues. The INTERPHEX Puerto Rico 2012 conference will be held at the Puerto Rico Convention Center in San Juan on October 4th and 5th. For further information, please visit the INTERPHEX Puerto Rico Web site or follow their conference blog. Q Source (remember, we're at Booth 723) will continue to blog leading up to the conference and throughout the show. For more information about Q Source and INTERPHEX please visit our Facebook Events page.